Charter schools, public institutions that operate outside local school districts, divert thousands of dollars in state aid from district coffers for each student they enroll. Boston officials plan to unveil a proposal Thursday for a unified system that would streamline the sometimes cumbersome school enrollment process, allowing students for the first time to simultaneously apply to charter and district schools. Similar to the Common Application for college admissions, the system would clear up confusion among many parents by allowing them to enter a single lottery for Boston public schools and charters, officials said. Currently, families enter one lottery for district seats and another for each charter school. Rather than have to fill out an application for each school, parents would fill out only one application through Boston public schools for whatever schools — charter or non-charter — they seek to enroll their child in. The proposal, which likely would take effect in time for fall 2017 school assignments, first needs approval from the School Committee and from the Legislature because the plan would shift charter school enrollment policies in Boston to a neighborhood, rather than citywide, model. Some parents expressed worries that such a change eventually could undermine Boston Public Schools, leading to more school closures, by drawing more students and resources to charter schools. Kenny Jervis, co-chairman of Boston’s Citywide Parent Council said he is concerned that the new system will make it easier for parents to apply to more charter schools, which he said can dazzle parents with impressive facilities rather than educational merit. “As any new parent would, you would think the shiny brand-new school building would be the best place for your child,” he said. Mary Lewis-Pierce, another member of the parent council and an advocate for children with special needs, said she worries that a unified system could be even more confusing for parents. She said it might not be clear to parents which schools are independent charters and which are district schools, and that they could be frustrated if they are unable to get into a charter school close to home. Walsh said, though, that he believes a unified enrollment process could lead parents interested in charter schools to take a closer look at district schools, and find one close to home that is a good fit. Superintendent Tommy Chang said he looked forward to Walsh’s presentation to principals of district and charter schools Thursday. “I believe we can work across sectors to ensure equity for all students,” Chang said in a statement. The proposal was guided by Rahn Dorsey, Boston’s chief of education, and Rachel Weinstein, chief collaboration officer for the Boston Compact, an organization created in 2011 to encourage collaboration among district, charter, and Catholic schools. Parochial schools are not included in the new plan because they are religious institutions. The proposal already appeals to Natasha Brown, whose eldest daughter attends Fenway High School, a BPS institution, and whose younger children attend charter schools. Brown said she has spent six years applying to charters, as many as six for each of her three children, and been placed on a wait list each time —- until this year. Other parents are less receptive. Jervis said he has long had reservations about the Boston Compact, championed by former mayor Thomas M. Menino, because he believes the process of its creation was not transparent. Jervis and other parents also question the agenda of the Bill & Melinda Gates Foundation, which has spent millions supporting charter schools and campaigned for Boston and other cities to form partnerships with them. Fourteen months after the compact was signed, the Gates Foundation announced a $3.25 million grant to support collaborations in Boston. The plan for a unified enrollment system is being unveiled amid a heated statewide debate about charter schools. A 2016 ballot initiative in the works would authorize the creation or expansion of up to a dozen charter schools in Massachusetts each year, exempting the schools from a cap limiting the Commonwealth to 72 independent charters. Separately, on Tuesday, Boston lawyers filed a class-action lawsuit seeking to lift the cap. Walsh said the timing of the lawsuit “isn’t a good thing,” as the charter debate could cloud the discussion around the proposed enrollment system. The mayor said he wants to hear from parents, but that “special interests” would not deter him from making ambitious change. 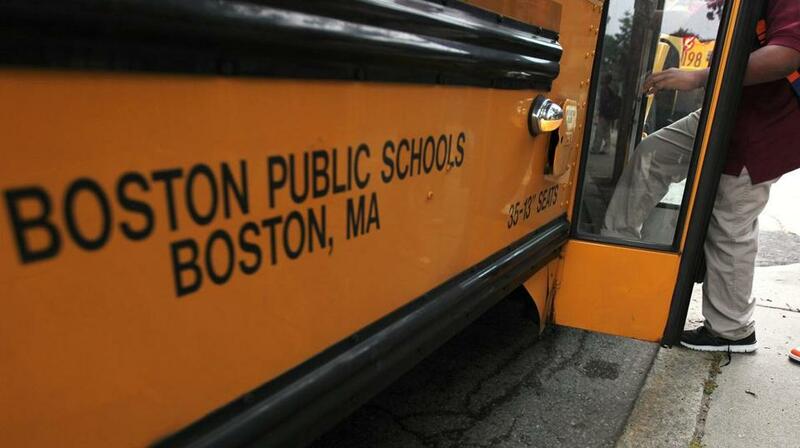 Under Boston’s current school-assignment plan, adopted in March 2013, children entering kindergarten or middle school receive custom lists of schools generated by an algorithm that considers distance from home, MCAS performance, and available seats. Families rank their preferred schools, and children are placed by lottery. If the proposal is approved, parents could include a mix of charter and district public schools in their rankings. The Boston Charter Alliance, which represents the city’s 16 independent charter schools and school networks, played a key role in formulating the new proposal. But individual schools may opt in or out, depending upon final details, said Shannah Varón, chairwoman of the alliance.